Intel has confirmed it will be selling a set-top box direct to the public later this year, along with a streaming TV service designed to watch you while you’re watching it. The device will come from Intel Media, a new group populated with staff nicked from Netflix/Apple/Google and so forth. Subscribers will get live and catch-up TV as well as on-demand content – all delivered direct from Intel over their broadband connections. It’s a move which will put Chipzilla firmly into US living room, and no doubt ignite a host of privacy concerns from those who want to watch without being watched. The announcement, made during an interview at the AllThingsD conference in California, isn’t a great surprise; rumours of an Intel play have been swirling around for the last year and sure enough Erik Huggers (VP at Intel Media) admitted that the company has been working on the device, and associated service, for the last 12 months. He didn’t say what the service will be called, but did say that the US isn’t ready for entirely à la carte options and that Intel will be selling bundles of content – though we’ll have to wait to see what they comprise. More controversial is the plan to use a camera on the box to look outward, to identify the faces staring at the goggle box… telescreen-stylie. Intel will use that to present personalised options and targeted advertising, in a process which seems immediately creepy but might make sense to anyone who has tuned in to NetFlix to be told “Because you watched Power Rangers Ninja Storm…” We’re used to being watched while we’re web surfing, and those using Google Docs know the composition process contributes to their profile, but being watched on camera might be a step too far for some. Huggers points out that the camera will have a physical shutter on the front, which can be closed, and that having the box recognise the viewers is simply easier than maintaining separate accounts, but Intel accepts that there’s a public-relations challenge ahead. Intel will be embracing the H.265 codec, recently developed and just approved by the ITU, which should provide better video over less bandwidth, but will make getting support across devices a challenge. Huggers made much of his experience at the BBC: “I built this thing called iPlayer in the UK, and we made that service available to more than 650 devices”, citing the broad platform support as essential to the success of iPlayer (which he describes as “catch-up TV done properly”) and promising that Intel’s service will also get broad support. Whether the Android and iOS clients will feature the watching-you-watching-them tech, patented by Intel last year, we don’t know, but the entry of Intel into the market is significant not only to shake up on-demand TV but also to ensure a future for the chip manufacturer as a provider of on-demand television – a business safe from the ARM-based competitors. Sunday mornings represent prime time for political dicussions. Let’s limit ours to silly policy, platinum and The Simpsons. First off, let’s get this out of the way: The $1 trillion platinum coin will not happen. “Neither the Treasury Department nor the Federal Reserve believes that the law can or should be used to facilitate the production of platinum coins for the purpose of avoiding an increase in the debt limit,” says a Treasury spokesman. Now, speculation and chatter swirled for weeks about the possibility, and more importantly, the fiscal feasibility, behind the trillion-dollar coin. Some very smart folks—right down to a former U.S. mint chief—suggested the Treasury could take advantage of a loophole, mint a $1 trillion platinum coin and ship it to the Federal Reserve. In theory it would then allow the U.S. to keep paying its bills, even though the country surpassed its $16.4 trillion debt limit. Another solution: Perhaps the government can issue IOU’s that we redeem at our local Wells Fargo or Bank of America. The coin thing sounded great, though, right? Well, it sounded a bit far-fetched…even more so when you consider that fiscal theorem originated in Los Angeles, not Washington D.C. It is, in fact, ripped right from the halcyon days of the late 1990s—when Butterfinger BB’s still existed, and The Simpsons was in its ninth season. In that stretch of episodes, there was one called The Trouble With Trillions, an amusing romp that alluded to Stark Trek and included Fidel Castro. Johnson sends Homer on a secret mission. They reveal that in 1945, President Harry Truman printed a one trillion-dollar bill (with his photo on it) to help reconstruct post-war Europe. In 1945, President Harry Truman secretly printed a one-trillion-dollar bill with his photo on it. He did so to help pay for the post-war reconstruction of Europe. He entrusted Montgomery Burns with the mission of transporting the large denomination to the Europeans. However, the money never arrived, and the FBI suspects Burns kept the money. That’s the premise of an episode of The Simpsons, first aired on April 5, 1998 titled, “The Trouble with Trillions.” Homer Simpson is caught cheating on his taxes and is turned into an informant by the FBI. Along the way, the bill is stolen by Fidel Castro. That Yardeni included it in his daily market musings reflects how ridiculous the whole thing became. A discussion over an idea dreamt up more than a decade earlier as a Simpsons plot device. Google TV, Microsoft, Comcast, and now Verizon have all submitted patent applications to create televisions and DVRs that will watch you as you watch TV. Earlier this month, news came out that Verizon applied for a patent to create a DVR sometime in the future that has cameras and microphones that can see and hear what you’re doing and saying, while watching TV. Sounds, actions, food choices, and your ethnicity — all tracked by the DVR — will influence what you see in your commercial breaks. A source familiar with the Verizon patent process told Business Insider that given the other contenders, it’s very remote that Verizon would win the bid. In fact, according to the patent’s transaction history, the application was given a non-final rejection days before the DVR was first reported on by Fierce Cable. The new patent describes how targeted ads can be sent to TV viewers based on information collected from infrared cameras, microphones and other devices that capture the conversations and moods of the people watching. Called Verizon Detection Zone, the system would pick up conversations, people, objects and animals that are near a TV. For example, if the system determines that a couple is arguing, a service provider would be able to send an ad for marriage counseling to a TV or mobile device in the room. Some might see this as an invasion of their privacy, or yet another case of “Big Brother is watching,” but the capability to closely monitor personal conversations and send ads based on overheard keywords could hold enormous marketing potential. Verizon has filed a patent application for targeting ads to TV viewers based on information collected from infrared cameras, microphones and other devices that would be able to detect the current conduct and mood of the people watching. Again, the privacy implications of the patent application are huge, and there is no indication that it would pass muster with television viewers or the government. No mention is made of user privacy in the patent application. If the couple utters words that indicate they are cuddling, they would receive ads for “a romantic getaway vacation, a commercial for a contraceptive, a commercial for flowers” or commercials for romantic movies, Verizon said in the patent application. Verizon proposes scanning conversations of viewers that are within a “detection zone” near their TV, including telephone conversations. “If detection facility detects one or more words spoken by a user (e.g., while talking to another user within the same room or on the telephone), advertising facility may utilize the one or more words spoken by the user to search for and/or select an advertisement associated with the one or more words,” Verizon said in the patent application. The company said the sensors could also determine if a viewer is exercising, eating, laughing, singing or playing a musical instrument, and target ads to viewers based on their mood. It also could use sensors to determine what type of pets or inanimate objects are in the room. “If detection facility detects that a user is playing with a dog, advertising facility may select an advertisement associated with dogs (e.g., a dog food commercial, a flea treatment commercial, etc. ),” Verizon wrote. Several types of sensors could be linked to the targeted advertising system, including 3-D imaging devices, thermographic cameras and microphones, according to the patent application. Officials at Verizon declined to comment about the patent application, which was filed in May 2011. The U.S. Patent & Trademark Office published it last week. A record number of curious kids are getting hurt by falling televisions in their homes, a government report warns. The U.S. Consumer Product Safety Commission (CPSC) released a report on Thursday that estimates about 43,000 people are injured in a television or furniture tip-over related incident each year, more than 25,000, or 59 percent, of whom are children. “Small children are no match for a falling dresser, wall unit or 50- to 100-pound television,” the CPSC said. The report also showed that 349 people were killed between 2000 and 2011 by a falling television, appliance or piece of furniture — 84 percent of them were kids younger than 9 years old. Falling televisions were more deadly, accounting for 62 percent of these fatalities. Last year alone, a record 41 tip-over related fatalities occurred. The worrisome trends the report spotlighted indicated that three children are injured by a tip-over every hour — or 71 children per day — and one child is killed every two weeks. Seventy percent of injuries involving children were caused by televisions, followed by 26 percent caused by furniture like dressers or tables. Known causes of tip-overs included climbing (36 percent of cases involving children), hitting or kicking (14 percent) or playing nearby (7 percent). The report also suggests that some of these incidents are occurring as families swap out their heavier, older TVs for flat-screen models. 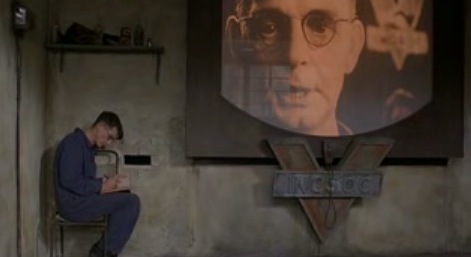 The CPSC received reports that older, heavier television were moved to other areas of the house like the bedroom, where they were placed without a proper stand or anchoring device. Government officials said these injury and fatality rates may climb even higher in the future. Dr. Robert Glatter, an emergency medicine physician at Lenox Hill Hospital in New York City, tells CBSNews.com in an email that children younger than 3 years are especially likely to be curious and reach for or try to hold onto a television. Potential injuries include traumatic brain injuries, neck injuries and abdominal trauma such as to the liver or spleen. The CPSC also reported incidents of fractures, bruises and cuts caused by the tip-overs. “If a TV cannot be anchored or mounted on a wall properly, then it’s safer to place the TV on a low sturdy base,” Glatter recommends. Other recommendations from the CPSC include keeping remote controls, toys and other items that might attract children off of television stands and furniture and making sure cords and cables are out of reach. Anti-tip brackets should also be installed on televisions and freestanding kitchen ranges, ovens and other appliances, the agency said.